Praised by his “…finger-knotting virtuosity…” (Yorkshire Post, England), his “expressive performance” (New York Times) and his “spontaneity, polish and sweet tone” (The Boston Musical Intelligencer), baroque violinist Joan Plana is the founding member of baroque ensemble CONCITATO. 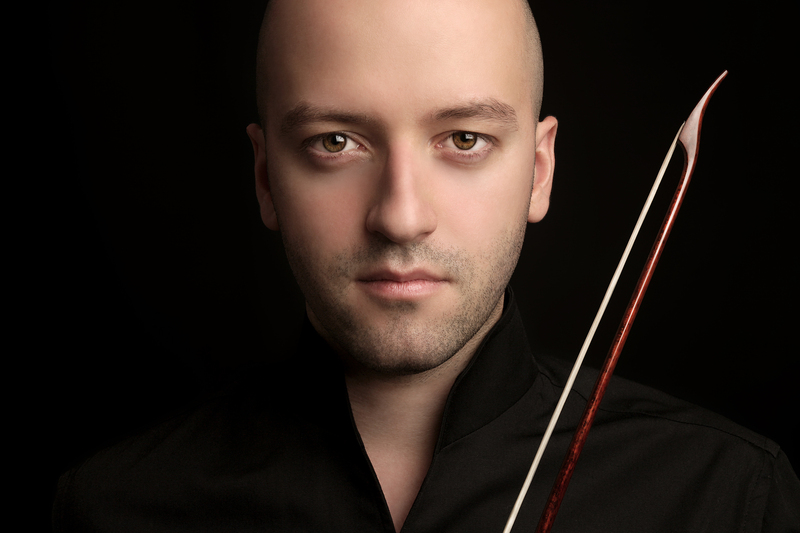 Based in New York, he is building an active career as a soloist, recitalist and concertmaster. This season he will continue his job as a leader of the American Baroque Orchestra and L’Academie Baroque Orchestra in Boston, as well as taking the position of concertmaster with Baroque Band in Chicago and The New York Society of Ancient Music. With CONCITATO he has appeared in venues in New York, Chicago, Montreal, Cleveland and Spain. The ensemble was the only American group on the finals of the 2009 York International Young Artists Competition (England). Joan Plana plays and records regularly with several baroque groups around the country, including Handel and Haydn Society, Apollo’s Fire, Trinity Wall Street Baroque Orchestra, Concert Royal, New York Baroque Incorporated, The American Classical Orchestra, and he has recently collaborated with the Italian group Il Pomo d’Oro. In 2011, he appeared around Europe as a member of the European Union Baroque Orchestra. He has worked with conductors such as William Christie, Jordi Savall, Harry Cristophers, Nicholas McGegan, Richard Egarr, Cristopher Hogwood, Enrico Onofri, Riccardo Minasi and Masaaki Suzuki, among others. Joan became interested in Historical Performance Practice following his arrival to Cleveland in 2005. He joined the Case-CIM Baroque Orchestra at Case Western Reserve University, where he studied with Julie Andrijeski, Cynthia Roberts and Miho Hashizume. He became concertmaster, soloist and guest conductor of the ensemble. In 2008, he received an Early Music Certificate from Case Western Reserve University and The Cleveland Institute of Music. While attending the Tafelmusik Baroque Summer Institute in Toronto, he received the Jeanne Lamon Scholarship Award. He also participated in the Baroque Performance Institute at Oberlin and the International Baroque Institute at Longy (Cambridge), studying with Jeanne Lamon, Marilyn McDonald and Elizabeth Blumnestock. Further lessons and masterclasses include Fabio Biondi, Manfred Kramer, Jordi Savall, and over the last few years he has studied closely with Enrico Onofri and Riccardo Minasi. Joan has taught baroque violin masterclasses and workshops at Baldwin-Wallace College (Ohio) and Sarah Lawrence College (New York). He was an inaugural member of the Historical Performance Program at the Juilliard School, where he studied with Monica Huggett and Cynthia Roberts. While at Juilliard, he played with “Juilliard415″ and “Juilliard Baroque” in concerts in New York, Madrid, Milan, Florence and Rome. He is currently pursuing a Doctorate of Musical Arts in baroque violin at the Graduate Center of the City University of New York, studying with Robert Mealy and Cynthia Roberts.